So I finally got a Wii, after months of searching! I’ve been randomly going to Best Buy, Fred Meyer, and just about any other place that sells Wiis, hoping they recently had a shipment so that I could pick one up. Finally, after calling Freddies every day for a week, I got the inside scoop and bought one last Monday. I’m very happy with my purchase. It was $250, which is a great price considering the demand is still insanely high. I also bought a charger dock that cost about $38, and I bought Mario Kart. 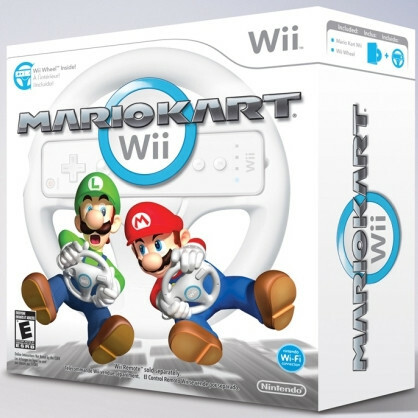 It was a great purchase, and came with a free steering wheel that the controller hooks into. It’s a lot of fun and cool to play with friends. I only wish I had a bigger TV to truly enjoy multiplayer. After buying Mario Kart, I decided I needed another game and bought Tiger Woods Golf ’08. Even though the new one is coming out in August, I couldn’t wait so I bought this one. It is a lot harder than the Wii Golf, but so much more fun and in depth. 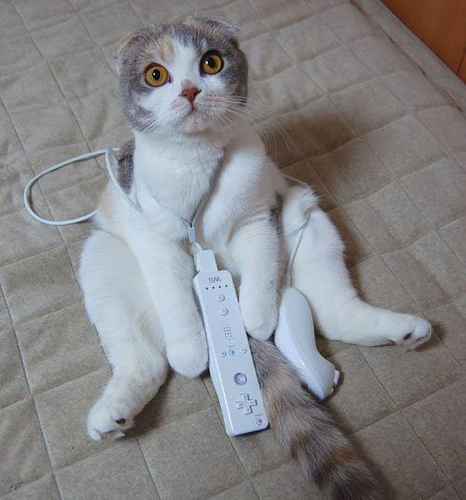 I never thought I’d be considered a gamer, but the Wii has me entranced in all things game related. 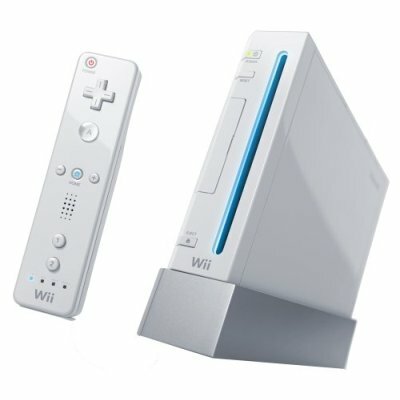 I don’t think I’ll ever buy a Playstation or Xbox, but spending a couple hundred of my tax rebate on a Wii was a great investment. Next stop, Plasma TV! This mountain man is the coolest new American Gladiator. He lets out a wolf cry before each event, that scares kids worse than The Nothing did in The Neverending Story. I never thought a wolf in spandex would look so menacingly hilarious. The show is on every Monday at 8pm, PST, and I recommend watching it. It’s corporate tie-ins and unapologetic patriotism is better than the “Support Our Troops” bumper sticker on your F-150.